Cheshire Paintballing: Fantastic Birthday Parties at Manchester! Cheshire is home to some of the UK’s most delightful scenery, making it a perfect location for paintball fanatics who want to enjoy an outdoor activity in beautiful surroundings. Delta Force Paintball Manchester is located just off Junction 17 of the M6 making it within easy reach of both Manchester and Liverpool. 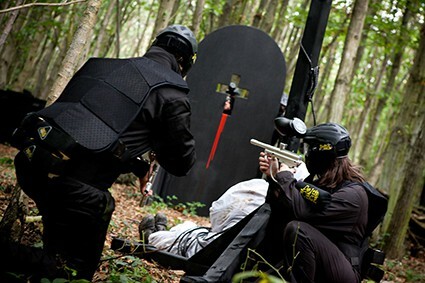 Our leading Cheshire paintball centre offers players an awesome paintballing experience with a wide range of exciting paintball game scenarios and impressive movie-like props! For example, our customers love having their group photos taken next to a genuine WWII Bofors Anti-Aircraft Gun – part of the Delta Force Paintball UK ‘fleet’ of army memorabilia vehicles! Game zones at the Cheshire paintball centre consist of Command Post which is set in the deserted hills of Afghanistan, Chemical Alley, where your task is to take over a heavily safeguarded fuel depot, A Bridge Too Far where allied forces have positioned a huge number of paratroopers in the Netherlands, Mad Murphy’s Jungle Attack which is set in the deepest depths of a murky rainforest, Viet Cong Village which is home to lots of angry villagers and The Haunted Graveyard – a creepy and disturbing scenario featuring lots of ominous tombstones! If you have a special birthday fast approaching, why not organise a day out at the Cheshire Paintball centre? The Delta Force Paintball Team are experts when it comes to arranging ultimate paintballing events! Our friendly team can offer excellent organisation and purpose built game scenarios to make your paintballing birthday truly unforgettable! 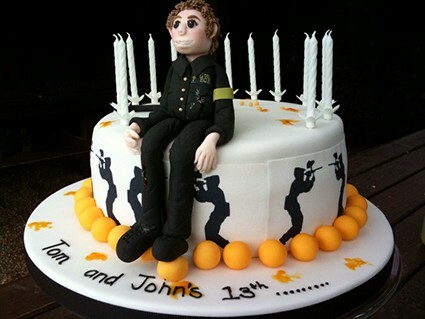 Adult birthday boys and girls also have the ability to add a bit more drama to their games by using a range of paintball pyrotechnics, such as paint grenades, smoke grenades and MK5 Thunderflashs, used to shock and confuse your enemies! For more info take a look at the Adult paintball prices page. For children, paintball birthday parties are the ultimate dream! Think of the fun you’ll have with your mates, dashing about and hiding from your friends in the forest while trying to shoot at your enemies! For further details including a day schedule for children’s paintball birthday parties at the Manchester paintball centre, check out the prices page.